At 17 years of age, snowboarder Tess Coady will be the youngest Australian Olympian in 2018 — but she was even younger when she had a brush with fame that would inspire her to chase her sporting dream. When she was 11, Coady was learning to wax her board at a shop in the small town of Mansfield on the road to Victoria’s Mount Buller. That shop happened to be owned by the parents of two-time world champion snowboarder Alex Pullin — Coady’s childhood idol. “One day he was working in the shop, I don’t know if I actually met him or I was just standing there in awe the whole time,” Coady said. Six years on, Coady has made the most of her connection to the three-time Australian Olympian ahead of her Games debut in slopestyle and big air. “He’s given me great advice throughout my career so far,” she said. The rising star of Australian snowboarding already has world titles to her name, claiming the junior slopestyle and big air championships in the Czech Republic last year. Earlier this year she claimed bronze at the Snowmass Slopestyle World Cup, demonstrating her potential on the big stage. “I definitely didn’t think I would get an outcome like that, but it helps with the confidence knowing that I am one of the top riders for my age,” she said. Coady admitted she never expected to be taking on the death-defying events she competes in. But she said she was not intimidated by the risks either, and instead saw her chosen disciplines as a chance to be creative. “Snowboarding is like an art in its own way. You want to put your own spin on everything, that’s the inspiration for me,” she said. 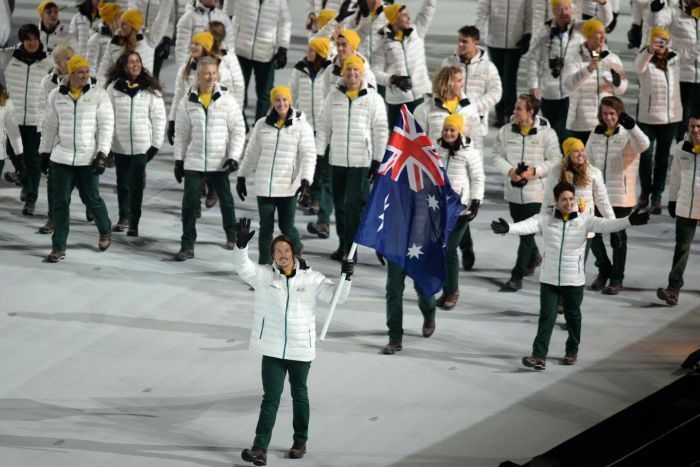 The young Australian knows her age has afforded her the opportunity to soak up the Olympic experience. “I definitely remember watching the last Olympics, looking up to the other riders I’m now competing against,” she says. Coady will compete in the snowboard slopestyle on February 11, and in the newest Olympic event ‘big air’ on February 19.